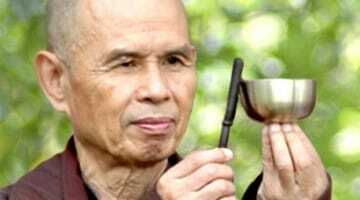 Sulak Sivaraksa, 85-year-old founder of the International Network of Engaged Buddhists, could face 15 years in prison because he suggested that a 16th-century elephant battle might not have really happened. Matteo Pistono, author of a biography of Sivaraksa, breaks down what the charges mean for Sivaraksa and the rest of Thailand. Sulak Sivaraksa being taken by police to meet with the military prosecutors in Bangkok, Monday, October 9, 2017. Photo courtesy of Matteo Pistono. 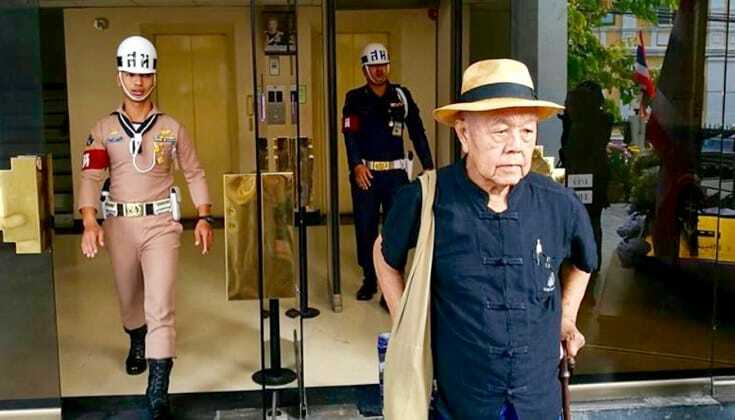 The prominent socially engaged Buddhist and Siamese intellectual, Sulak Sivaraksa, was taken by police on Monday to face a military tribunal preparing a criminal case against him. Sulak was released the same day and was told that military prosecutors will decide by December 7 whether or not they will proceed with the case. The 85-year-old Sulak is accused of lèse-majesté—defaming the monarchy—by questioning whether 16th-century Thai king Naresuan really led his soldiers to victory in a historical elephant battle. The crime of lèse-majesté forbids criticism of the king, queen, crown prince, or regent, and in Thailand earns a fifteen-year prison sentence. Lèse-majesté in Thailand is a crime that lies somewhere between treason and blasphemy and is specific to the reigning monarch. However, since the military coup in 2014, the law has been used broadly to silence the military junta’s critics. The International Federation for Human Rights reports more than 100 lèse-majesté arrests have been recorded since the 2014 coup. A former insurance salesman was sentenced in June to 35 years in prison for posting defamatory messages and images on Facebook, while another man is under investigation for allegedly mocking the late King Bhumibol’s dog. The most widely reported case since 2014 is that of the student activist, Jatupat Boonpattaraksa, who was sentenced in August to two and a half years in prison after he shared a BBC Thai-language profile of the current King Vajralongkorn. Over 2000 other people shared the same BBC web link on Facebook. If the military decides in December to prosecute Sulak’s case, it will generate a worldwide condemnation of the Thai authorities. Sulak will be held in jail for months during the trial, with no opportunity to post bail. “No appeal, no bail, and no lawyers. That is how the military courts work here. There is no rule of law,” said Sulak. Why is the military prosecuting the elderly Sulak? Sulak has, since the 1970s, been the most prominent social critic in the country. His incisive rebukes are most often pointed at the pillars of Thai society—nation (especially its leaders), religion (in particular the state-sponsored monastic community), and the monarchy. 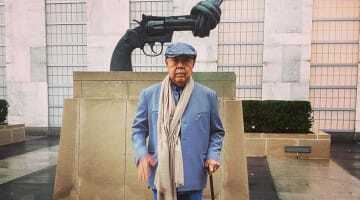 Despite his criticism of Thai society, Sulak has long asserted that he is loyal to his country, the Buddha dharma, and the monarchy, but, “my loyalty demands dissent.” For his speeches and writings, Sulak has been exiled from Thailand on two occasions (in 1976–1977 and 1991–1992), jailed and harassed, and repeatedly subjected to criminal prosecution for lèse-majesté of the Thai monarchy. He has always been acquitted. This week’s action by the Thai military tribunal is the latest in the decades-long battle between Sulak and the Thai establishment, in particular its military leaders. In 2014, General Prayut Chan-o-cha led the Royal Thai Armed forces to oust the democratically elected prime minster, Yinlack Shinawatras. The coup d’état was widely criticized by Western nations. General Prayut promised new elections but instead retained power. Mainstream news reports regularly describe him as a military dictator. Soon after the 2014 coup, Sulak began publishing his advice to the military, and specifically General Prayut, in Facebook posting. By the end of the year, the postings were compiled into a book and published (in Thai and English) as Love Letters to Dictators. Then in October 2014, Sulak attended a history conference at Thammasat University in Bangkok. It was during this conference that Sulak made the comments for which he now faces possible criminal prosecution. According to history taught in schools in Thailand, the 16th-century King Naresuan challenged the Burmese Prince Mingyi Swa to an elephant battle. The king killed the prince, which caused the disheartened Burmese troops to retreat. The victory by Naresuan in 1593 has been immortalized through school textbooks, TV dramas, and cinema, and the date of the duel was chosen for the National Armed Forces Day. In 2014 the military sponsored a dramatized film, released it in theaters nationwide, advertised it across the country as “a must-see for all Thai patriots,” and instructed cinemas across Thailand to arrange free screenings for a month. A group of ultra-royalists, lead by Lt. General Padung Niwetsuwan, soon accused Sulak of lèse-majesté. That accusation is what led the military tribunal to begin its current case against Sulak. The International Network of Engaged Buddhist (INEB), which Sulak founded, released a message three days ago that UN High Commissioner for Human Rights in Bangkok had lodged a protest at the Thai Foreign Ministry and was informed orally that the lèse-majesté case against Sulak will likely not proceed. However, the Thai officials would not put anything in writing. The International Network of Engaged Buddhists (INEB) has suggested that those concerned for Sulak contact relevant human rights organizations and the Thai Foreign Ministry to urge that the lèse-majesté case against Sulak Sivaraksa be dropped before December 7, 2017. 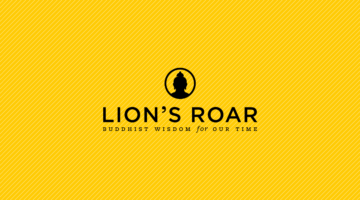 Matteo Pistono is the author of Meditation: Coming to Know Your Mind and In the Shadow of the Buddha. More of his work can be found at www.matteopistono.com.